Brooklyn in the 70s and 80s #ArtTuesday « Adafruit Industries – Makers, hackers, artists, designers and engineers! 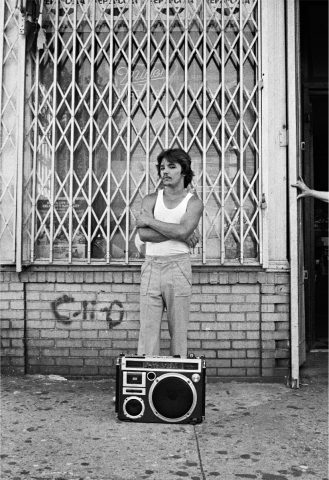 It’s in the context of an obscene amount of Brooklyn hype that photographer and South Brooklyn native Larry Racioppo just released his book Brooklyn Before: Photographs, 1971–1983, which includes essays by fabled Village Voice writer Tom Robbins and art critic Julia Van Haaften. VICE caught up with Racioppo to find out why he decided to start taking photos when he was young and roaming the Prospect Park area, what it really means to say Brooklyn was a different place then, and how its interwoven communities have changed—and sometimes refused to change—since his boyhood. Below, in an edited transcript of our conversation, he lays out his thoughts on all of that while detailing the story behind a handful of remarkable photos from the book.